Assembling time-depth recorders for suction tagging studies of minke whales. Despite a flow of new information in recent years, we still know surprisingly little about the majority of cetacean species in our oceans and seas. These are amongst the most difficult animals to study, spending most of their lives underwater, living far out to sea in remote areas and showing little of themselves when they rise to the surface to breathe. 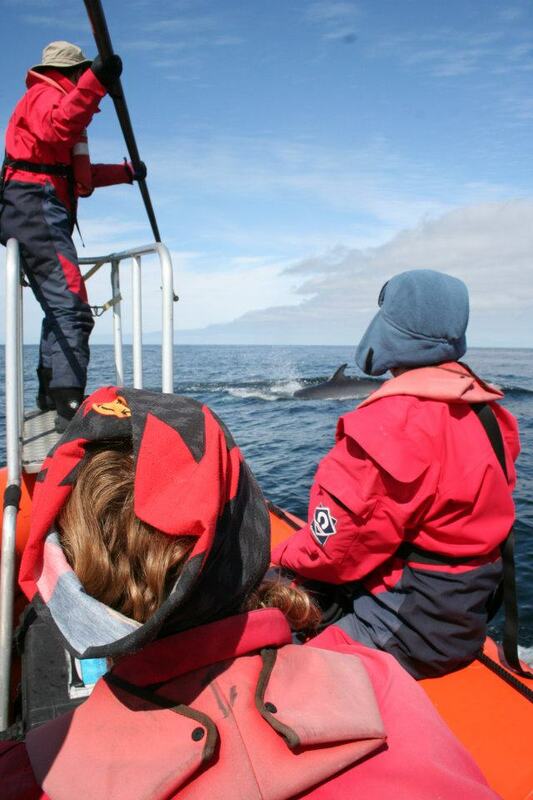 Inspite of these difficulties, however, it is certainly an exciting time to be involved in cetacean research. We have learnt just enough to begin asking the right questions, and we are now beginning to understand the intricacies of the natural behaviour, ecology, social organisation and many other aspects of the daily lives of these fascinating creatures in the wild. Current studies by the CRRU research team principally focus on the coastal cetacean species frequenting the inshore waters of the outer Moray Firth, namely the bottlenose dolphin, harbour porpoise and the minke whale. Since 1997, volunteers and students have assisted the group in the collection, organisation and analysis of data on these animals, vital to our current understanding and knowledge of their distribution, habitat preferences and ecology in these waters. In co-operation with universities, research institutions and international environmental agencies, ongoing studies continue to provide fundamental scientific data for the adoption of long-term management measures and conservation strategies for the protection of UK coastal cetacean populations. Additional studies by the CRRU have also been conducted in Italy, Greece, Canada, the USA, Gibraltar Sardinia and the Philippines to date. The most recent development is a new study in Thailand of the Indo-Pacific humpback dolphins of Trang with the support of the Phuket Marine Biological Center (PMBC) and the University of Chulalongkorn, Bangkok. To find out more about the ongoing research work of the CRRU, select the submenus on the left hand navigation panel. To view some of our recently published research work, click HERE.